Building the Best and Fixing the Rest. 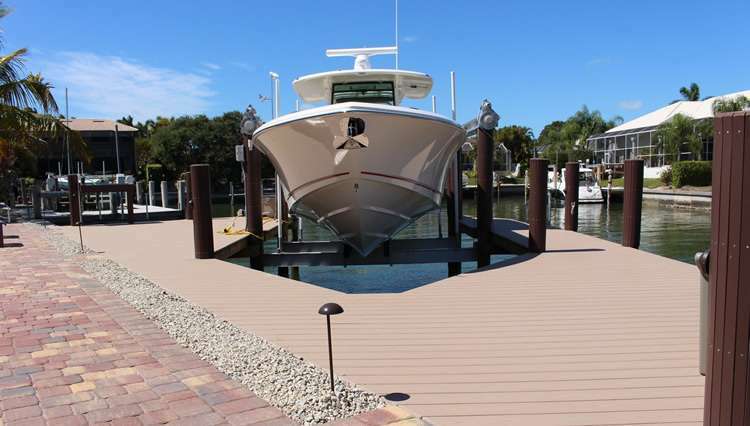 At Dock and Decks we will use only the best materials available- hand- picked for quality and durability. Our southern yellow pine is rated for direct ground contact. 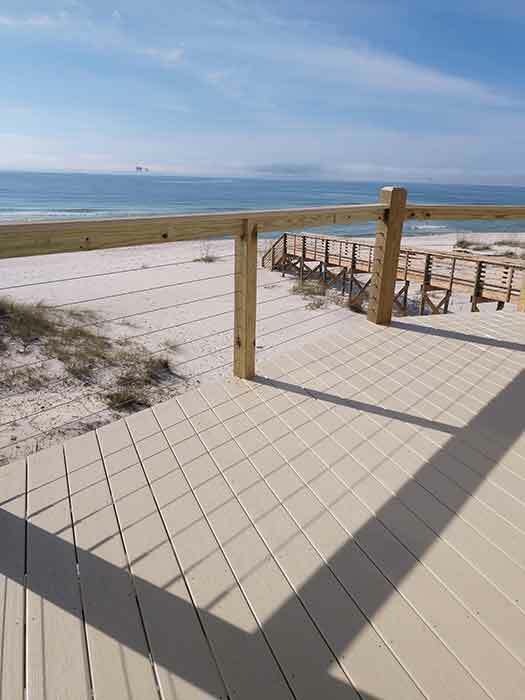 If it is a low maintenance composite deck you are wanting; we have many products. Our fasteners are installed in a professional pattern and are either galvanized, ceramic coated or stainless steel depending on conditions. Handrails are pre-drilled and screwed for quality and uniformity. Stainless steel cable railings are also available for a more durable and aesthetically appealing option. All of our stainless steel products are 316 grade. Bottom line only the best quality products for every client! Contact us today for an estimate on your new or upgraded deck. We proudly serve the Gulf Coast of Alabama and Florida including Orange Beach Alabama, Foley Alabama, Gulf Shores Alabama, Pensacola Florida and surrounding areas. Dock and Decks is one of Gulf Coasts premier dock and deck contractors. Whether you need your dock repaired, boat lift repaired, new boat/jet ski lift, replacing your deck or a complete deck replacement; Dock and Decks is here to serve you. In business since 1996; we use the best products available; along with expert craftsmanship to build long lasting dock and decks. We look forward to creating a safe and enjoyable dock or deck for your family. At Dock and Decks we strive no keep our finished product the same price as you were quoted. We have been building docks on the Gulf Coast since 1998 and understand the environment. We have products and services to fit each clients needs and budget!